Overnight showers lead to muddy conditions during the 55th annual Cracker Day Rodeo at the Lee County Posse Arena in North Fort Myers, FL. 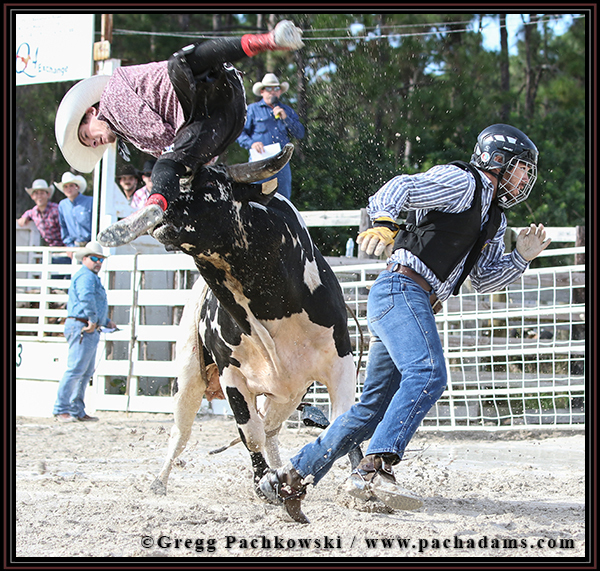 Bull Y-4 sends bull fighter Nathan Smith, of LaBelle, flying as rider Harley Howell runs to safety after being thrown. While the bulls belonged to the big boys… the youngsters had their hands full riding sheep during the Muttin Bustin’ competition! 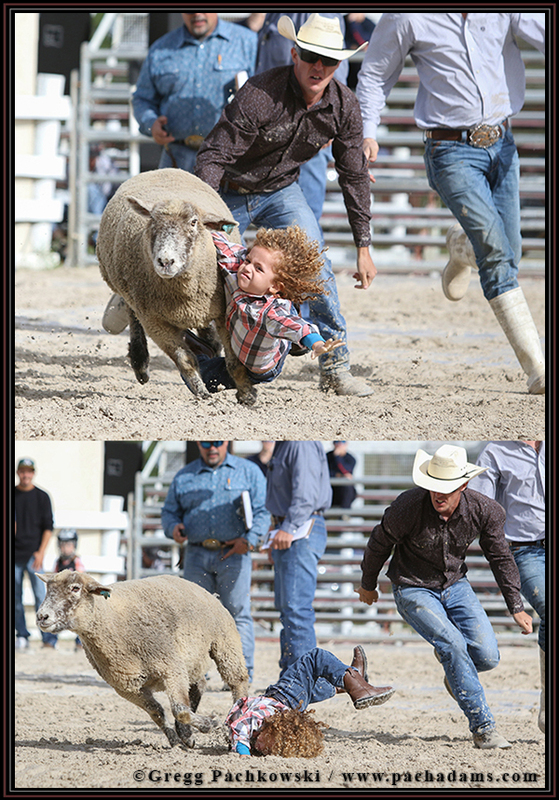 Chase Oake, 4, of Fort Myers, falls off his sheep during the Mutton Bustin’ competition. And, yes, Chase was fine! Just a little dustin’ off and he was good as new.